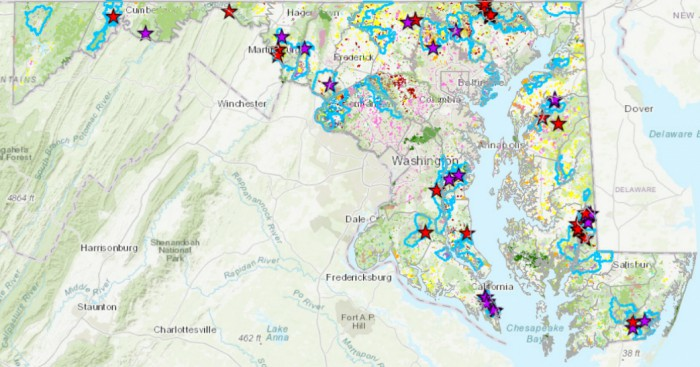 The Maryland Department of Natural Resources launched an innovative new tool to evaluate the conservation benefits and ecosystem “value” of every parcel of land across the state. The Parcel Evaluation Tool was designed to identify and prioritize the conservation and protection of ecologically important, sensitive, and valuable land and watershed resources in Maryland for use by the department, land conservation organizations and trusts, local and state planners, and individual property owners. The do-it-yourself tool incorporates the department’s latest mapping technologies and scoring formulas to determine areas of high-ecological and natural resources value. Users can even create a Conservation Benefits and Ecosystem Service Assessment Report Card, which analyzes and rates individual parcels on a number of factors, including coastal resiliency, connectivity, habitat and more. The Parcel Evaluation Tool was developed by the Maryland Department of Natural Resources through funding provided by the National Oceanic and Atmospheric Administration. To provide feedback on the tool, please contact Christine Conn at christine.conn@maryland.gov.